Stokes did not have a doctorate, however William Hopkins is considered to be his equivalent mentor. 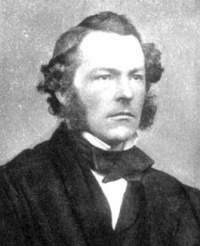 Sir George Gabriel Stokes, 1st Baronet ( August 13, 1819 – February 1, 1903) was an Irish mathematician and physicist who made many important contributions to fluid dynamics, optics, and mathematical physics. Together with James Clerk Maxwell and Lord Kelvin, he was a major contributor to the fame of the Cambridge school of mathematical physics during the mid-nineteenth century. Stoles exerted unusual influence beyond his direct students through extending assistance in understanding and applying mathematics to any member of the university. He served in many administrative positions, including for many years as secretary of the Royal Society. He held strong religious convictions and published a volume on Natural Theology. George Gabriel Stokes was the youngest of eight children of the Reverend Gabriel Stokes, rector of Skreen, County Sligo, and Elizabeth Haughton. Stokes was raised in an evangelical Protestant home. Stokes's childhood home, to which he often returned in later years, was near the water, and some speculate that it was his exposure to the sea in his early years that later gave rise to Stokes's research on waves and fluid flow. Stokes was first tutored by a church clerk, but at the age of 13 was sent to a school in Dublin for a more formal course of education. Stokes's father died in 1834, but his mother secured the financing to send him to Bristol College. His mathematics teacher there was Francis Newman, the brother of Cardinal Newman. In 1837, Stokes transferred as an undergraduate to Pembroke College at the University of Cambridge, where his brother William, breaking with the family tradition of attending Trinity, had studied. On graduating as "senior wrangler" and first Smith's prizeman in 1841, Stokes was elected to a fellowship at the college. Stokes published his first paper in 1843, "On some cases of fluid motion," and expanded on this theme in a subsequent paper in 1845. In 1849, be became Lucasian Professor at Cambridge, where he lectured on hydrostatics and optics. The next year, he published a paper on the internal friction of air and the motion of a pendulum. In 1851, Stokes was elected to membership in the Royal Academy. He won the society's Rumford Medal a year later for his paper on the refrangibility of light (the property the straight path of light to bend when light passes from one medium to another, such as from air to glass). Stokes became a secretary for the Royal Society in 1854, a post he would hold for many decades before becoming president of the society in the 1880s. Around this time, he also accepted a chair at the School of Mines in London. In 1857, he married Mary Susannah Robinson, the daughter of an astronomer. His marriage prevented him from continuing at Pembroke, because of a rule barring married fellows. This rule was later revoked, and 12 years later, Stokes's fellowship was reinstated. During his courtship, Stokes is said to have written Mary Susannah a letter of concern, as his habit was to work into the early morning hours on physics and mathematics problems. He wondered if this habit would be consistent with a happy family life. He also expressed a clear desire to expand his life experience beyond the intense intellectual pursuits at which he so readily excelled. After their marriage, the couple moved to Lensfield Cottage, where Stokes set up a small makeshift laboratory. The cottage would serve as Stokes's residence for the remainder of his life. Stokes's marriage seemed to mark some shift in his priorities that found him taking on more administrative tasks at his university as well as serving a secretary of the Royal Society. The massive administrative tasks that Stokes undertook brought forth calls from his closest colleagues, including Lord Kelvin, to find a position where he could devote more of his time to research. He paid little heed to these kind reproaches and much of his time was taken up in administrative work and teaching. Despite this, many investigators were accustomed to consulting him during their student days, and they later depended on his feedback in shaping their research. William Crookes, inventor of the Crookes tube, suffered from a lack of mathematical skills and is said to have often consulted Stokes to supplement his deficiency in this area. The famous physicist William Thomson (Lord Kelvin), a close associate of Stokes, had discovered the somewhat obscure work of the mathematical physicist George Green and extended a proof of one of Green's theorems to three dimensions. Stokes is said to have posed the proof of Kelvin's theorem as an examination question, and it henceforth became known as "Stokes's theorem." In 1886, Stokes, who was a religious man throughout his life, was appointed president of the Victoria Institute, which explored the relationship between religious doctrine and the findings of science. Stokes held this position until his death. Stokes sided with Lord Kelvin and other scientists of his day in their critical view of Charles Darwin's theory of evolution. Sir George Stokes, who was made a baronet in 1889, further served his university by representing it in parliament from 1887 to 1892 as one of the two members for the Cambridge University. During a portion of this period, from 1885 to 1890, Stokes also served as president of the Royal Society. Thus, being at the same time Lucasian professor, he united in himself three offices that had only once before been held by one man, Sir Isaac Newton. Newton, however, did not hold all three simultaneously. Stokes died on February 1, 1903, at his cottage in Cambridge. He was buried in the Mill Road cemetery. Stokes's first published papers, which appeared in 1842 and 1843, were on the steady motion of incompressible fluids and some cases of fluid motion. These were followed in 1845 by one on the friction of fluids in motion and the equilibrium and motion of elastic solids, and in 1850 by another on the effects of the internal friction of fluids on the motion of pendulums. To the theory of sound he made several contributions, including a discussion of the effect of wind on the intensity of sound and an explanation of how the intensity is influenced by the nature of the gas in which the sound is produced. These inquiries together put the science of hydrodynamics on a new footing. They provided a key to the explanation of many natural phenomena, such as the suspension of clouds in air and the subsidence of ripples and waves in water. In addition, they provided a solution to practical problems, such as the flow of water in rivers and channels, and the skin resistance of ships. His work on fluid motion and viscosity led to his calculating the terminal velocity for a sphere falling in a viscous medium. This became known as Stokes' law. Later the CGS unit of viscosity was named a Stokes after his work. The "Navier-Stokes equation" gets its name from Stokes and Claude Navier, who in 1822 published the equations of motion of an incompressible fluid. In his 1845 paper, Stokes improved on Navier's analysis by inserting a different explanation for the internal friction of fluids, making the derivation of the equation more credible. The equation shows how forces acting both upon and within a fluid determine fluid flow. Perhaps his best-known researches are those that deal with the wave theory of light. His optical work began at an early period in his scientific career. His first papers on the aberration of light appeared in 1845 and 1846, and were followed in 1848 by one on the theory of certain bands seen in the spectrum. In 1849, he published a long paper on the dynamical theory of diffraction, in which he showed that the plane of polarization must be perpendicular to the direction of propagation. In 1852, in his famous paper on the change of wavelength of light, he described the phenomenon of fluorescence, as exhibited by fluorspar and uranium glass, materials that he viewed as having the power to convert invisible ultraviolet radiation into radiation of longer wavelengths that are visible. The Stokes shift, which describes this conversion, is named in his honor. A mechanical model illustrating the dynamical principle of Stokes' explanation was shown. The offshoot of this, Stokes line, is the basis of Raman scattering. In 1883, during a lecture at the Royal Institution, Lord Kelvin said he had heard an account of it from Stokes many years before, and had repeatedly but vainly begged him to publish it. In the same year, 1852, Stokes published a paper on the composition and resolution of streams of polarized light from different sources. About 1860, he was engaged in an inquiry on the intensity of light reflected from, or transmitted through, a pile of plates; and in 1862 he prepared for the British Association for the Advancement of Science a valuable report on double refraction. A paper "On the Long Spectrum of Electric Light" bears the same date, and was followed by an inquiry into the absorption spectrum of blood. The identification of organic bodies by their optical properties was treated in 1864; and later, in conjunction with the Rev. William Vernon Harcourt, he investigated the relationship between the chemical composition and the optical properties of various glasses, with reference to the conditions of transparency and the improvement of achromatic telescopes. A still later paper connected with the construction of optical instruments discussed the theoretical limits to the aperture of microscope objectives. In the early 1850s, Stokes began experimenting with filtered light. He passed sunlight through a blue-tinted glass, and then shone the beam through a solution of quinone, which has a yellow color. When the blue light reached the quinone solution, it produced a strong yellow illumination. Stokes tried the same experiment with the solutions of different compounds, but found that only some showed an illumination of a color different from that of the original light beam. Stokes named this effect fluorescence. Stokes's published work by no means represents the whole of his services in the advancement of science. Many of his discoveries were not published, or at least were only touched upon in the course of his oral lectures. An excellent example is his work in the theory of spectroscopy. In his presidential address to the British Association in 1871, Lord Kelvin (Sir William Thomson, as he was known then) stated his belief that the application of the prismatic analysis of light to solar and stellar chemistry had never been suggested directly or indirectly by anyone else when Stokes taught it to him in Cambridge some time prior to the summer of 1852, and he set forth the conclusions, theoretical and practical, which he had learned from Stokes at that time, and which he afterwards gave regularly in his public lectures at Glasgow. These statements, containing as they do the physical basis on which spectroscopy rests, and the way in which it is applicable to the identification of substances existing in the Sun and stars, make it appear that Stokes anticipated Kirchhoff by at least seven or eight years. Stokes, however, in a letter published some years after the delivery of this address, stated that he had failed to take one essential step in the argument—not perceiving that emission of light of definite wavelength not merely permitted, but necessitated, absorption of light of the same wavelength. He modestly disclaimed "any part of Kirchhoff's admirable discovery," adding that he felt some of his friends had been over-zealous in his cause. It must be said, however, that English men of science have not accepted this disclaimer in all its fullness, and still attribute to Stokes the credit of having first enunciated the fundamental principles of spectroscopy. In other areas of physics, one may mention his paper on the conduction of heat in crystals (1851) and his inquiries in connection with Crookes radiometer; his explanation of the light border frequently noticed in photographs just outside the outline of a dark body seen against the sky (1883); and, still later, his theory of X-rays, which he suggested might be transverse waves traveling as innumerable solitary waves, not in regular trains. Two long papers published in 1840—one on attractions and Clairaut's theorem, and the other on the variation of gravity at the surface of the earth—also demand notice, as do his mathematical memoirs on the critical values of sums of periodic series (1847) and on the numerical calculation of a class of definite integrals and infinite series (1850) and his discussion of a differential equation relating to the breaking of railway bridges (1849). Stokes was the oldest of the trio of natural philosophers—James Clerk Maxwell and Lord Kelvin—being the other two, who especially contributed to the fame of the Cambridge school of mathematical physics in the middle of the nineteenth century. His original work began about 1840, and from that date onwards the great extent of his output was only less remarkable than the brilliance of its quality. The Royal Society's catalog of scientific papers gives the titles of over a hundred memoirs by him published down to 1883. Some of these are brief notes and others are short controversial or corrective statements, but many are long and elaborate treatises. Stokes did much for the progress of mathematical physics. Soon after he was elected to the Lucasian chair he announced that he regarded it as part of his professional duties to help any member of the university in difficulties he might encounter in his mathematical studies, and the assistance rendered was so real that pupils were glad to consult him, even after they had become colleagues, on mathematical and physical problems in which they found themselves at a loss. Then, during the 30 years he acted as secretary of the Royal Society, he exercised an enormous if inconspicuous influence on the advancement of mathematical and physical science, not only directly by his own investigations but indirectly by suggesting problems for inquiry and inciting men to attack them, and by his readiness to give encouragement and help. Stokes's contribution to fluid dynamics is memorialized in the equations that bear his name. His devotion to teaching and to the institutions that encourage the pursuit of science showed him to be a man who was aware of a broader picture of the needs of his time. Stokes received many honors, some of which are listed below. From the Royal Society, of which he became a fellow in 1851, he received the Rumford Medal in 1852 in recognition of his inquiries into the wavelength of light, and later, in 1893, the Copley Medal. In 1869 he presided over the Exeter meeting of the British Association. From 1883 to 1885 he was Burnett lecturer at Aberdeen, his lectures on light, which were published in 1884–1887, dealing with its nature, its use as a means of investigation, and its beneficial effects. In 1889 he was made a baronet. In 1891, as Gifford lecturer, he published a volume on Natural Theology. His academic distinctions included honorary degrees from many universities, together with membership of the Prussian Order Pour le Mérite. Sir George Stokes's mathematical and physical papers were published in a collected form in five volumes; the first three (Cambridge, 1880, 1883, and 1901) under his own editorship, and the two last (Cambridge, 1904 and 1905) under that of Sir Joseph Larmor, who also selected and arranged the Memoir and Scientific Correspondence of Stokes published at Cambridge in 1907. Lecture "On Light," was delivered at Aberdeen University: Burnett Lectures (1887). Mathematical and physical papers volume 1 and volume 2 from the Internet Archive. History of "George Gabriel Stokes"
This page was last modified on 14 June 2017, at 21:08.